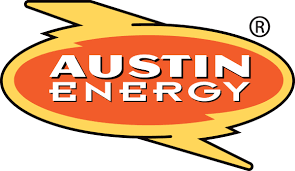 * The 2019 Austin Energy Summer Internship Program will start on May 28, 2019 and end on August 2, 2019. * Graduates who are not currently enrolled in a post graduate program or who have graduated prior to May 2018 will not be considered for the 2019 Summer Internship Program. * A copy of your current unofficial transcript will be required with your application. Use the “Other Document” in the Optional and Required Documents section of your application to attach your transcript. * The City of Austin employment application is an official document; incomplete applications will not be considered. Please be sure that your application is a reflection of your entire work history and education. Describe your specific experience for each position. Include all job duties, responsibilities, employment dates, and relevant college courses. * Once the requisition has closed, the application cannot be changed to update work history, supplemental questions, or any other information. * We reserve the right to verify high school and college education for the top candidate(s). * A criminal background check will be required for all top candidates. Pursuing a degree in computer science, computer programming, network administration, network systems, systems security, advanced mathematics and statistics. MIS programs may also include additional courses in finance and database management. 1. Test, evaluate, make recommendations, get quotes, and procure new software and hardware for network, telephony, and/or wireless technologies. 2. Implement, configure, manage, administer, maintain, and monitor software and hardware for network, telephony, and/or wireless technologies. 3. Monitor, troubleshoot, diagnose, and test to resolve network, telephony, and/or wireless problems. 4. Assist to define disaster recovery plans and develop network test plans. 5. Contribute to the planning, forecasting, budgeting, procuring and implementing new network hardware and software including the retirement of existing systems and components. 6. Evaluate network performance and health checks implementing tuning improvements and performing network sizing estimates. 7. Assist with development of solution based cost analysis. 8. Coordinate and communicate the installation, configuration, and maintenance of network components with customer departments and project teams. 9. Monitor services provided by vendors to ensure service levels are met. 10. Monitor and assist in management of equipment inventory. 11. Implement network security procedures and ensure compliance of all security policies, procedures, and standards.